Our newest edition reminds you of an American favorite old fashioned cola! It is complemented with Rhassoul Clay to bring you the best shave. Saponified Stearic Acid, Coconut Oil, Cocos Nucifera (Coconut) Oil, Castor Oil, Ricinus Communis (Castor) Seed Oil, Cocoa Butter, Theobroma Cacaco (Cocoa) Seed Butter, Kokum Butter, Indica Seed Garcinia Butter, Shea Butter, hydrogenated butyropermum parkii, Lanolin Anhydrous, Glycerin Vegetable, USP, Sodium Lactate, 100% Natural Fragrance and Essential Oil, Rhassoul Clay. 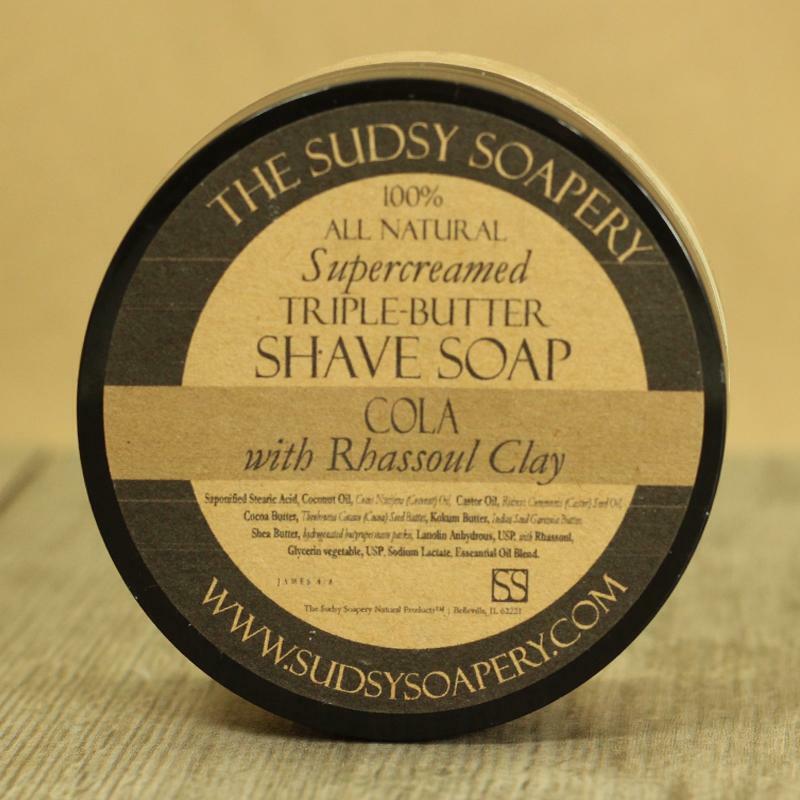 Unfortunately, there are no purchase links for The Sudsy Soapery - Cola - Soap. Hemp Seed Oil, Water, Organic Witch Hazel, Mango Butter, Beeswax, Cetearyl alcohol and Glyceryl stearate (from sustainably sourced Coconut and Palm oils), 100% Pure Essential Oils, Grapefruit Seed Extract, Vitamin E, Vegetable Glycerin, USP. 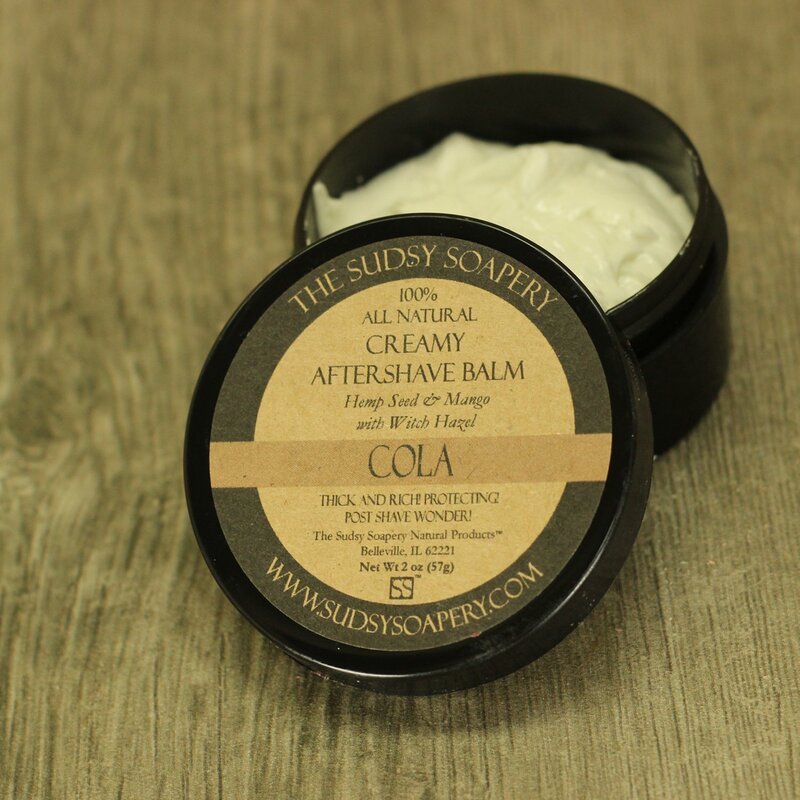 Unfortunately, there are no purchase links for The Sudsy Soapery - Cola - Balm.